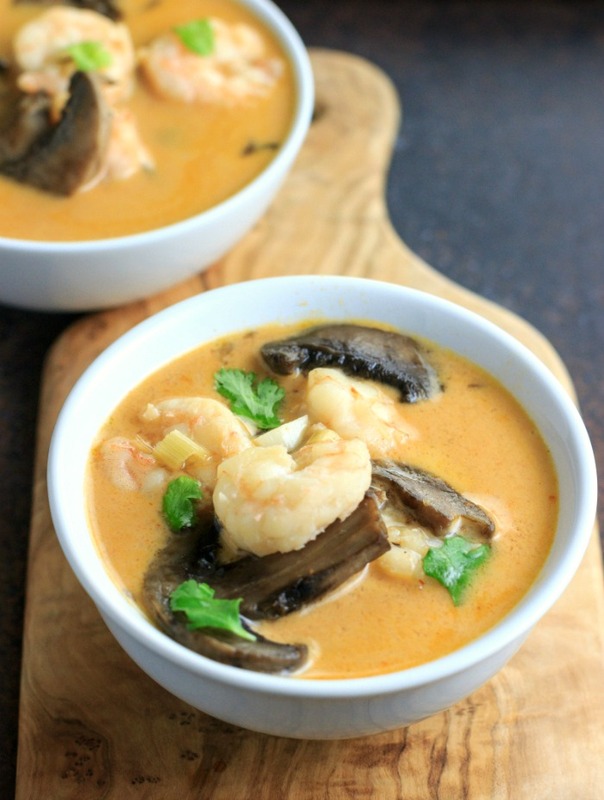 Keto Instant Pot Thai Shrimp Soup is a delicious, creamy, low carb, paleo, and whole30 soup with Thai flavors of lemongrass, lime, ginger, red curry and coconut milk made in the Instant PotⓇ. 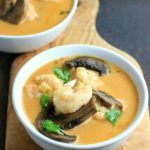 Keto Instant Pot Thai Shrimp Soup is low carb, paleo with a whole30 option. 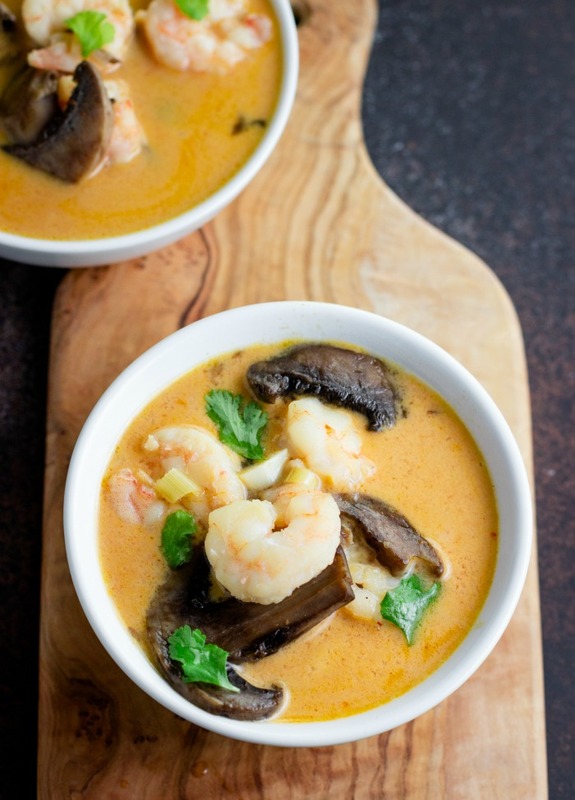 A creamy Thai inspired shrimp soup with The delicious Thai inspired flavors of coconut, lime, and fragrant lemongrass. 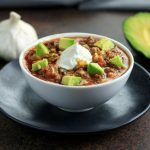 A quick and easy to make Instant PotⓇ soup with such incredible flavors! 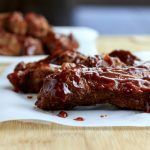 This recipe was a very big hit with my family and friends. 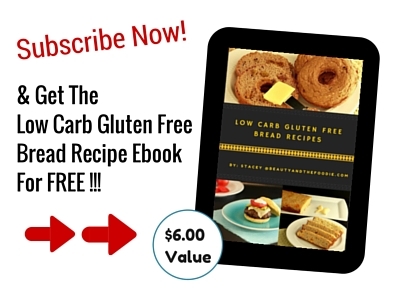 It is a simple recipe that I will be making over and over again in my Instant PotⓇ. My favorite Thai restaurant soup is called “Tom Yum Goong Soup”, so I decided to make a low carb version of this soup with the Instant Pot. Only this version is little different and less spicy so my hubby can still have it, lol. 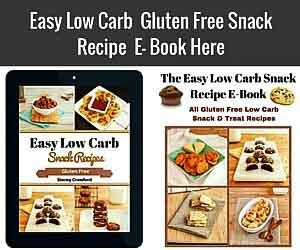 Nutritional Data: Yield: 6 servings: Serving Size: 1 cup, Amounts per serving- Cal: 200, Carbs: 5g, Net carbs: 4g, Fiber: 1g, Fat: 11g, Saturated Fat: 9g, Protein: 13g, Sugars: 3g. This came out better than the restaurants!! Incredible!! Thank you so much, Sara, for trying the recipe and your kind words. These flavors are incredible. I already love this soup without even trying it. It does remind me laksa a bit but I am sure it is unique in so many ways! Can’t wait to try it! 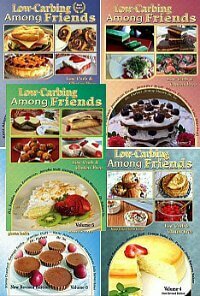 Wow, these flavors look amazing! We love shrimp and mushrooms, so this will be a hit in our house! 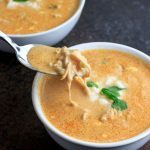 I love thai flavours, this soup looks so creamy and delicious! I could eat this any time of year! So yummy and comforting. I love red curry and shrimp. I love the Thai flavors in this! 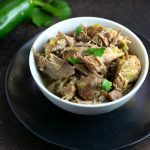 So great that you can make it easily in the Instant Pot. I love this kind of soup! It’s what I always order from thai restaurants – this looks awesome. Oh gosh, this is right up my alley! This soup looks so cozy and Thai flavors are my favorite! You added so many of my favorite ingredients. What a great winter soup! This is mouth-watering. I love all these ingredients! I’ve never had shrimp in soup before. Love Thai food, though, so I’m sure it’s delicious! I’m so into soup these days and this look sooo creamy and delicious! I just love these one pot recipes and shrimps! Looks SO comforting and flavorful! Thai flavors are on my favorite, yum. 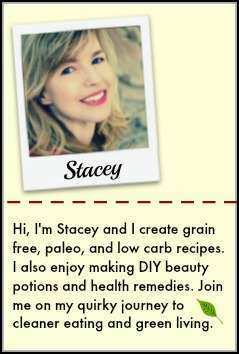 I am getting my Instant Pot on Monday! This soup looks great but I can’t use the fish sauce (I am highly allergic to non-shellfish. Should I just leave it out or is there something I could substitute in for it? Hi Diane, yes you can just leave out the fish sauce. Love this IP soup! So yummy and easy! YUM! That looks so gorgeous and I can taste the flavor from here! I LOVE the lemongrass flavor in this soup! And the hearty mushrooms are so perfect in it too. So yummy! Dang! This looks amazing! I am so ready for fall and soup season. I never would have thought to make a thai inspired recipe. Thank you, Kelly. I love the Thai flavors! YUM! I just watched a travel show about Thailand. The food looks so amazing. Now I’m craving your soup. 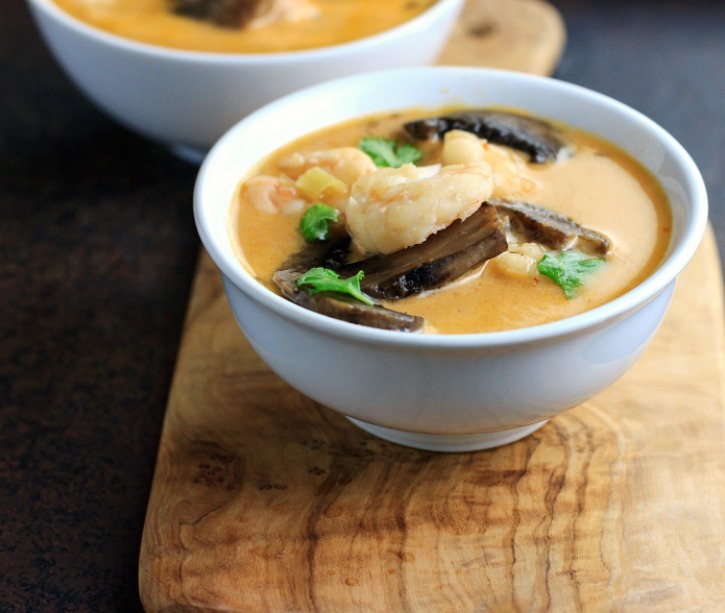 I love a good Thai Shrimp soup – love that you can make this one in the instant pot! This sounds so flavorful and I love that it’s made in the IP! It looks so good! This sounds so flavorful and delicious! Seriously can’t wait for soup season. Thank you, Jean. I’m so ready for Fall as well. Bring on the soup & pumpkin recipes, lol. The broth looks AMAZING! My mouth is watering! Thai flavors are some of my very favorite, and shrimp is totally under utilized in our house! Must try this tempting combo! Tessa, thank you. I agree I need to make shrimp recipes more often.